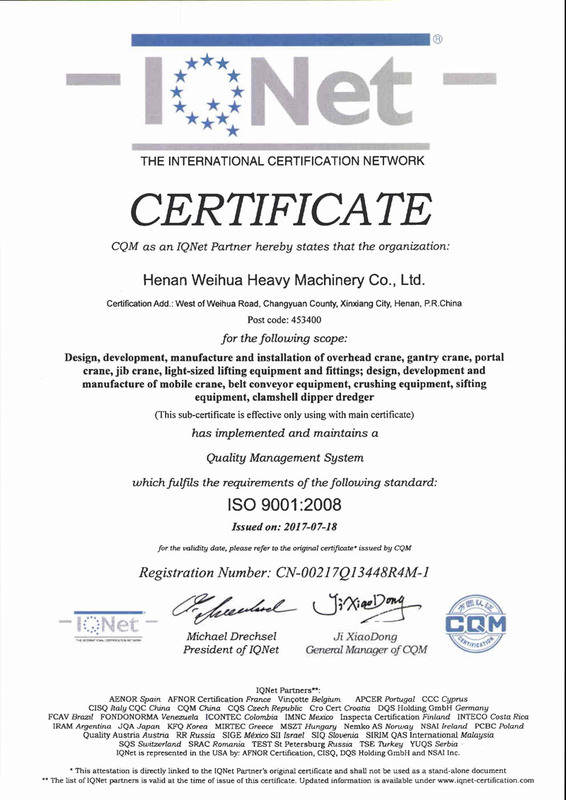 Company Overview - Henan Weihua Heavy Machinery Co., Ltd.
Weihua Group is a large-scale enterprise group with integrated business of crane research, development, design, production, sales, installation, service and import and export. It has formed strong and comprehensive innovative system with complete set of advanced equipments and large-scale production ability in the fields of mechanic procession, thermal treatment, soldering, assembly, test, measuring, packing and delivery. Main products include more than 200 types of products of 9 series such as bridge crane, gate crane, port machine, electric hoist and steel structure which are widely applied in machinery, metallurgy, power, water conservation and utilization and port industries. The company has agencies in almost 30 provinces, municipalities and autonomous regions which combines sales and service together and products are also sold to Russia,Malaysia,Thailand and the other countries and regions in Central Asia, South Asia,Mexico and Africa. 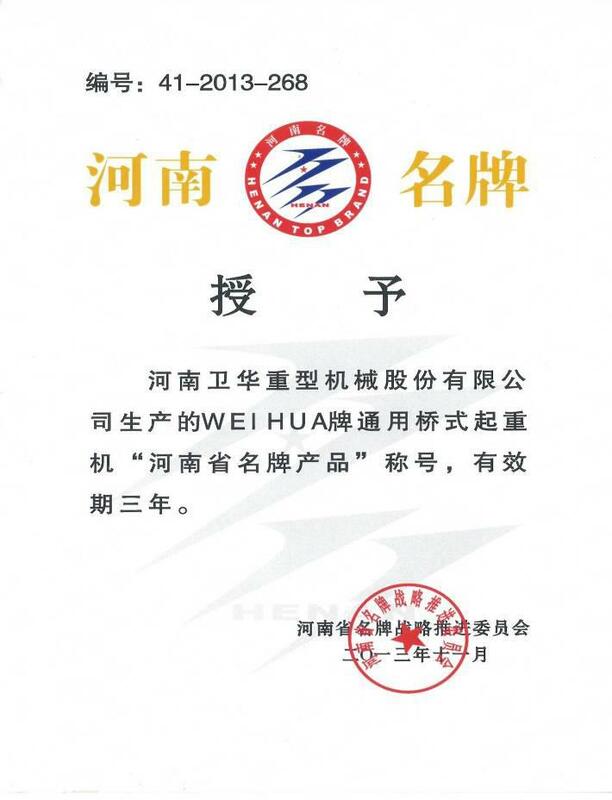 Weihua Group is a member of the Heavy Machine Industry Association of China at constant-director level, a member of the Bridge Crane Sub-association at deputy chief director level and a member of the Material-carrying Machine Association of China at deputy chief director level. Nine sub-branches of the group include: Henan Weihua Heavy Machine Co., Ltd, Shanghai Hong' An Hoisting Equipment Co., Ltd, Henan Zhongjie Crane Co., Ltd, Zhengzhou Weihua Steel Structure Co., Ltd and other companies, It covers an area of 820, 000 square meters and has more than 3, 000 various teating devices and more than 4, 000 employees. It sales income was more than RMB 1.8 billion in 2007. 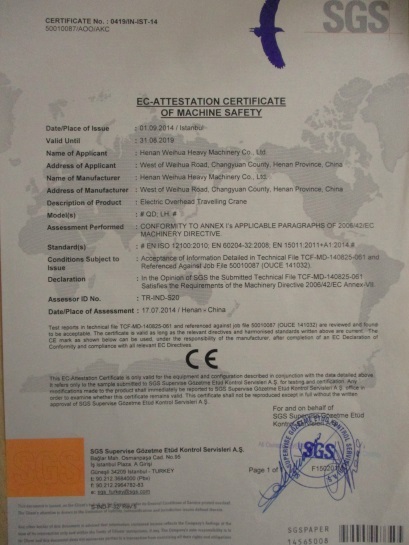 Weihua Group is the only' Research Center of Crane Mechanic Equlpment Engineering Technology' In Henan Province authorized by the Science and Technology Department of Henan Province and products developed by the center obtained provincial and municipal praises and awards many times. 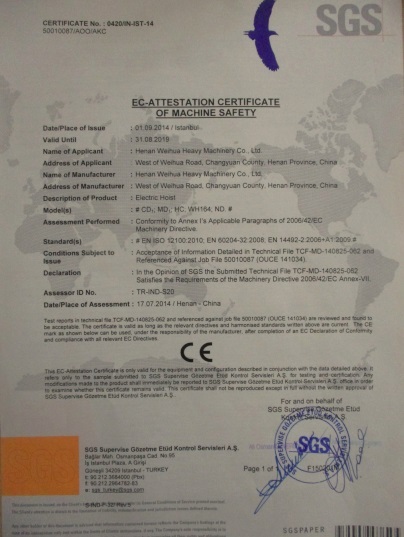 The company attaches great importance to quality of products and has set up scientific quality guarantee system and has advanced testing devices and methods. 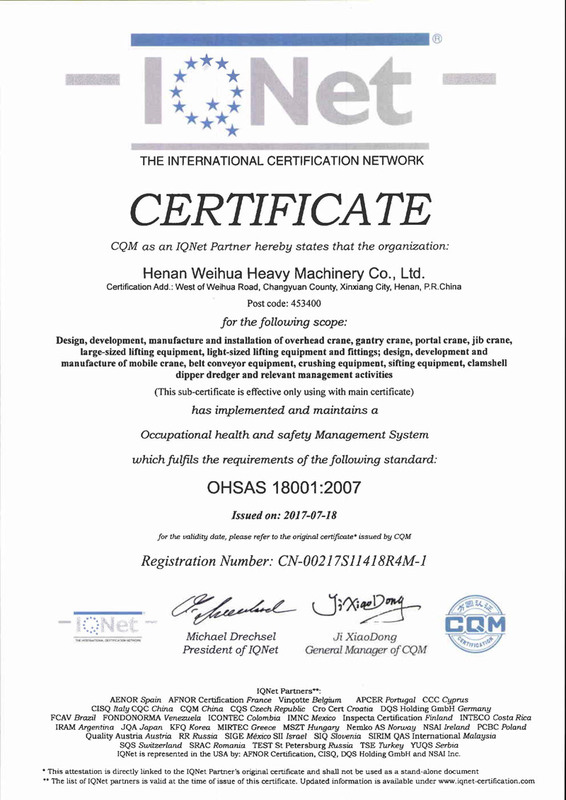 It passed the ISO9001 quality guarantee system certification in 1999 as one of the earliest in this industry, passed the comprehensive certification of the system of quality, environment, career health and safety management in 2005 and product quality is always in the leading position of the industry in the country. 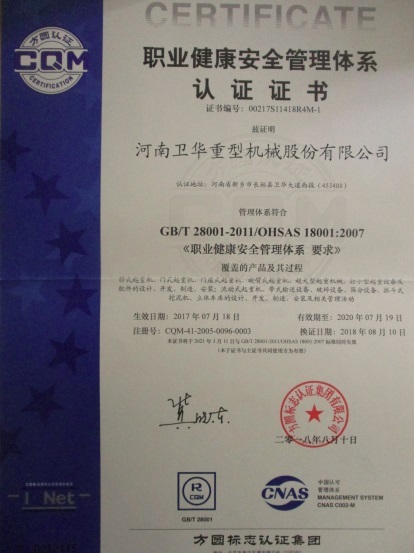 In 2007, the' Technical Inspection and Test Center of Weihua Group Co., Ltd.Got the recognition of state laboratory and was permitted to do related business operation. 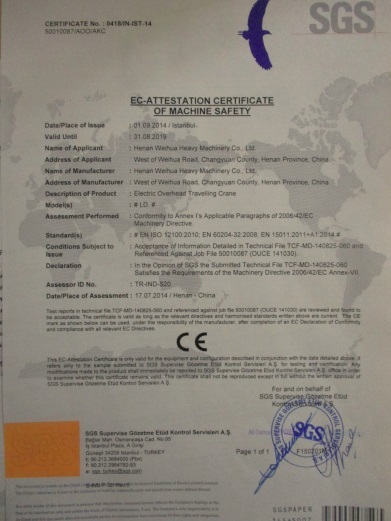 The output and sales of single-beam and double-beam cranes produced by Weihua Group has been in the first place in China for the last 4 years successively and the output and sales of electric hoists has been in the second position in China for the last 5 years successively. 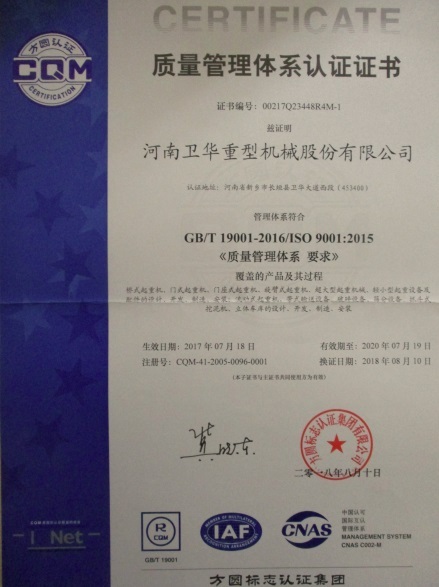 In 2002, the company got the title of ' State Advanced Quality Management Enterprise' And in the following years it obtained honors such as 'Famous Product of China', ' Famous Trade Mark of China',State Contract-observing and Promise-keeping Enterprise', ' Top 500 Machine Producer of China' And ' Top 500 Private Enterprise of China'. 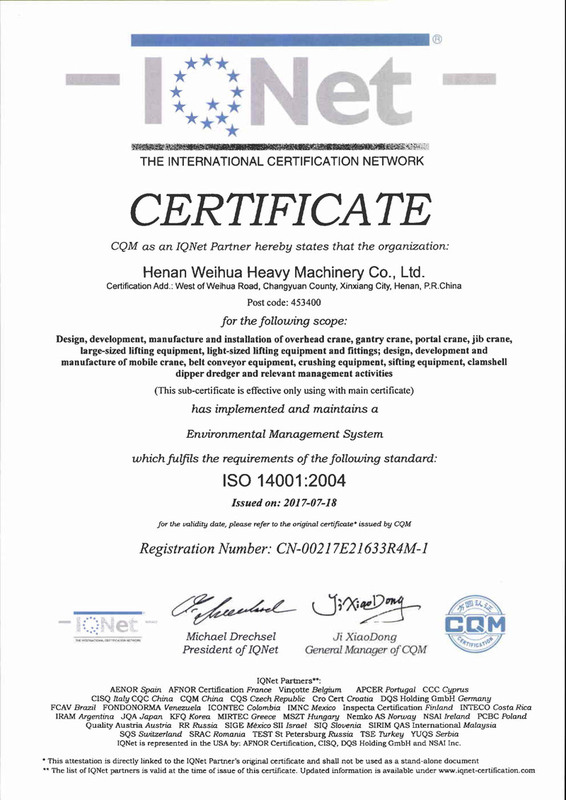 Weihua Group has set up extensive cooperation with world famous companles such as Demag, Siemens, Sumitomo and Kone. 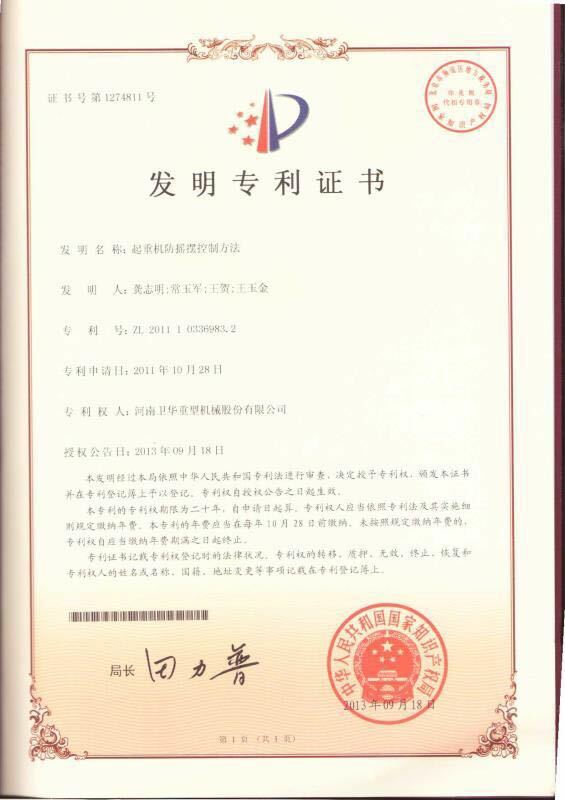 People of Weihua will carry out the task of ' Creating international brand of Weihua, vitalizing national industry' And write a new chapter in the history of crane production with its continuous efforts, pursuit and ever-improving coer competitiveness. Design,development,manufacture and installation of overhead crane,gantry crane,portal crane,jib crane,large-sized lifting equipment,light-sized lifting equipment,design,development,manufacture of mobile crane and relevant management activities. 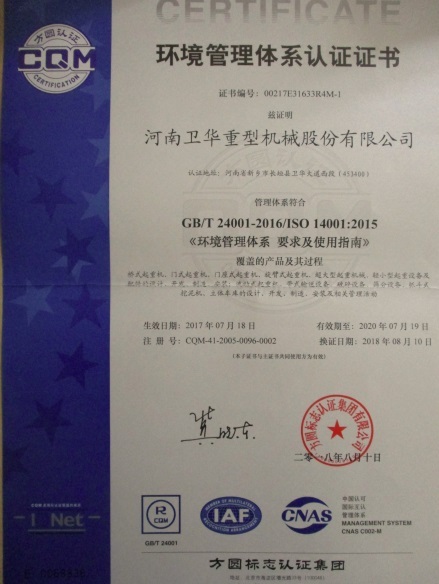 Through statistical data verification by China Machinery Industry Federation and China Association of Automobile Manufacturers,hereby to certify that WEIHUA Group Co.,LTD. 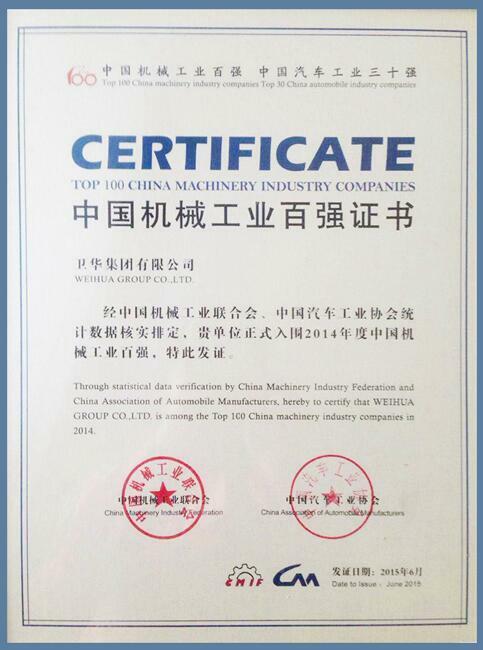 Is among the Top 100 China machinery industry companies in 2014.